French heirloom whose taste a hearty blend of sweet and tart. This beautiful and especially flavorful heirloom comes to us from Norbert Perreira of Helliner, France. A perfect, fruity blend of sweet and tart, Jaune Flamme (or Yellow Flame in French) excels, whether dried or roasted, the slices retaining their deep orange color. An early producer, ample crops of apricot-colored 3-4 oz. fruits are borne on elongated trusses. Tomato, Jaune Flamme is rated 3.7 out of 5 by 3. Rated 2 out of 5 by MassTraveler67 from Not worth the effort They're a pretty color fruit, but that's about it. Very susceptible to blossom end rot and disease. Rated 5 out of 5 by QuarterLotJohn from Bright orange orbs I have been growing these for seven years now. 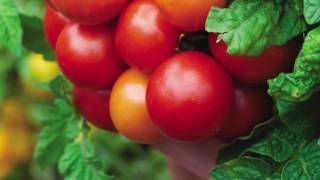 They make a good early tomato and can be set in with protection in fairly cool weather. They make perfect little orange orbs without cracking or blemishes. Tomato size can vary quite a bit with growing conditions on this variety. I find that the best results are to prune back to two vines and use drip irrigation with a full strength hydroponic tomato fertilizer regiment. With that you can get 3-5oz, otherwise you will get smaller tomatoes. I tend to get BER with the very first tomato on each plant than they are OK. Taste is sweet and mild but can develop an off taste late in the season when stressed with too much heat or neglect. 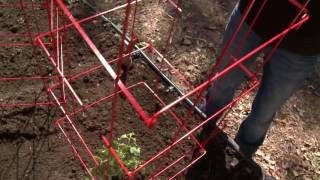 An easy tomato to grow, but a little more challenging to get them up to size. Can be grown in a ten gallon pot but will be fairly tall 5'.